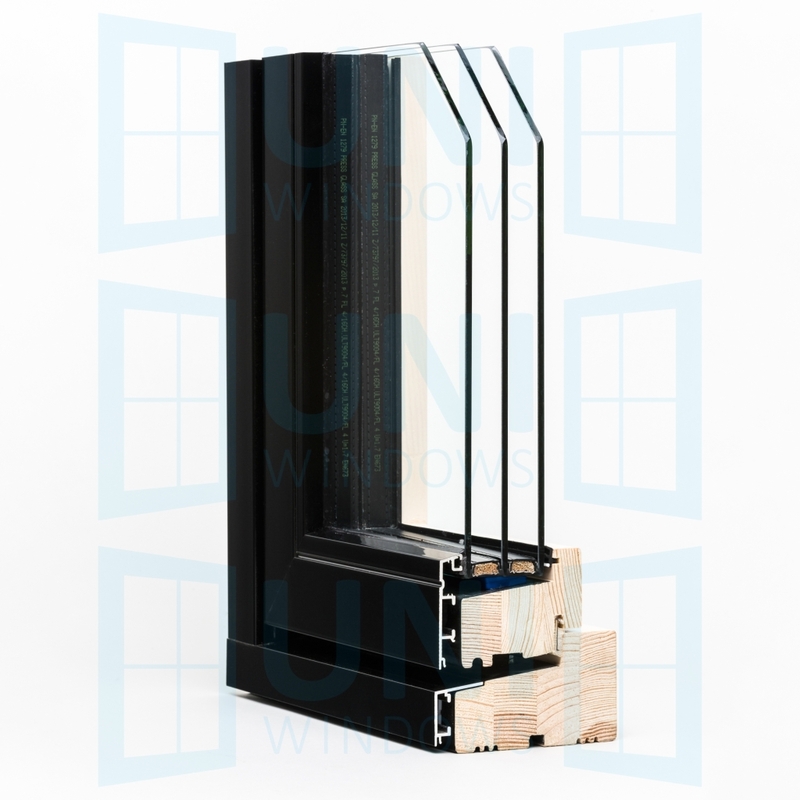 The offer of DURWIN windows is addressed mainly to customers in the UK, Ireland and Scandinavian countries where outward opening windows dominate. Wood-aluminum windows combine positive features of wood that is naturally beautiful and perfect construction material and aluminum resistant to external conditions. Clever design and appropriate combination of these two different materials give excellent results. DURWIN windows – nature inside and indestructible aluminum cladding outside. Wood-aluminum windows virtually require no maintenance and are an investment for future generations. They are perfect for buildings that are more exposed to weathering: mountain areas, coastal zones. Double-glazing, single-chamber (4-18Ar-4), 26 mm unit, the heat transfer coefficient Ug = 1.0 W / m2C (BS EN-674), inter-pane cavity filled with argon. 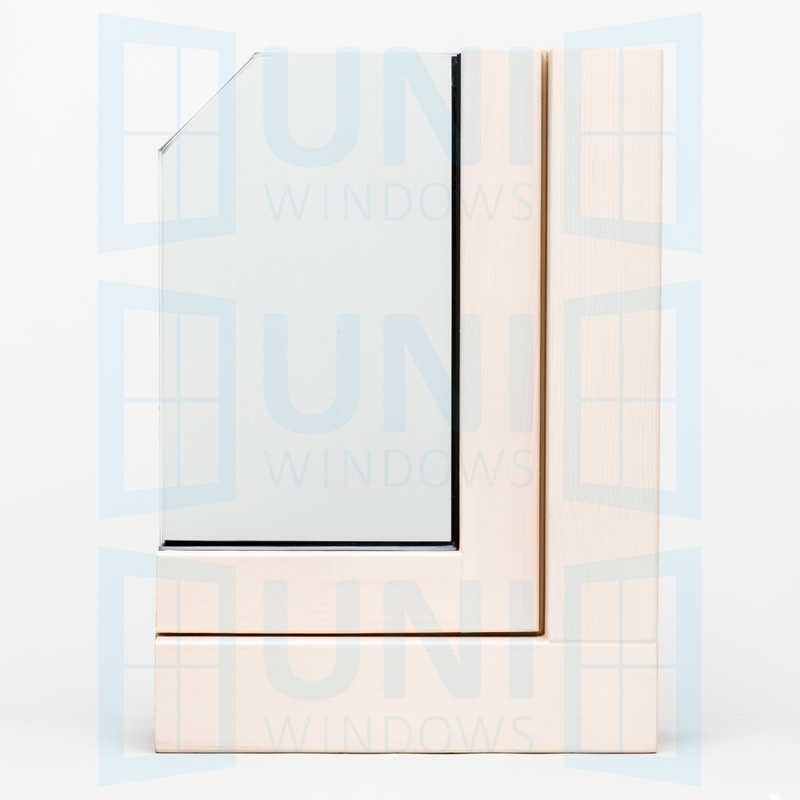 Triple-glazing, twin-chamber (4-10Ar-4-10Ar-4), 32 mm unit, the heat transfer coefficient Ug = 0.8 W / m2K (EN-PN 674), inter-pane cavity filled with argon. 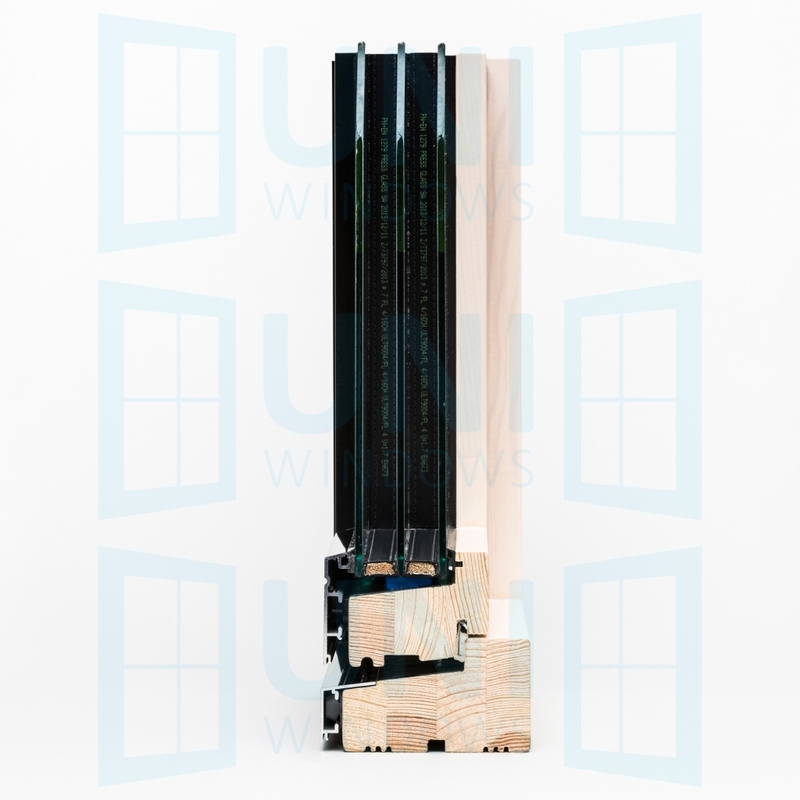 Triple-glazing, twin-chamber (4-4-10Kr 10Kr-4), 32mm unit, the heat transfer coefficient Ug = 0.6 W / m2K (EN-PN 674), inter-pane cavity filled with krypton. 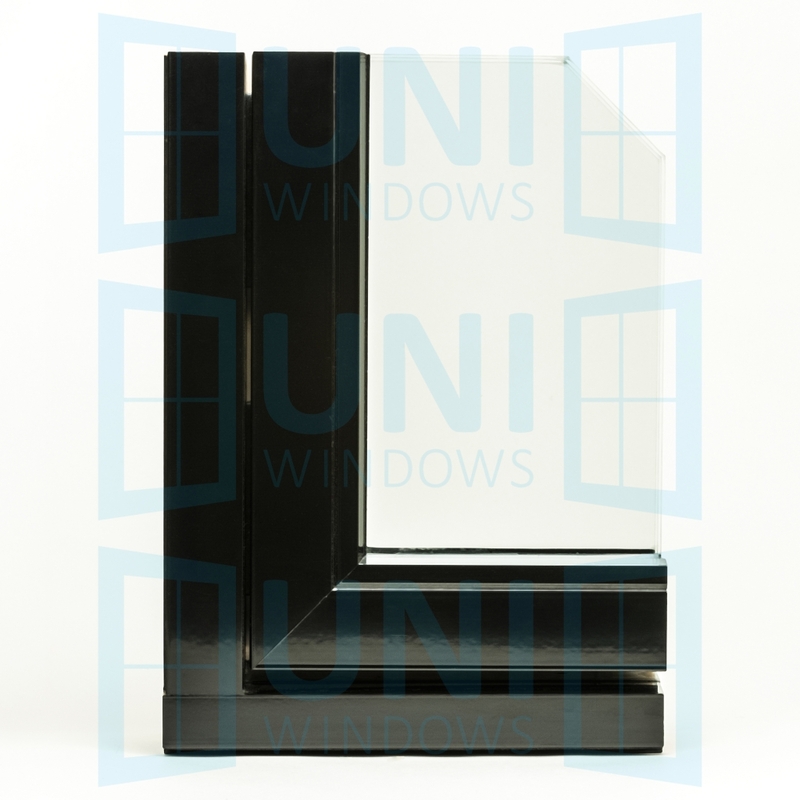 Maximum glass thickness in frame 40 mm, in sash 44 mm. Aluminum cladding cut 45° Mechanically gripped or welded. Colors according to RAL color cart. Cladding supplier Aluron. Hoppe Secustic Atlanta handle in silver. 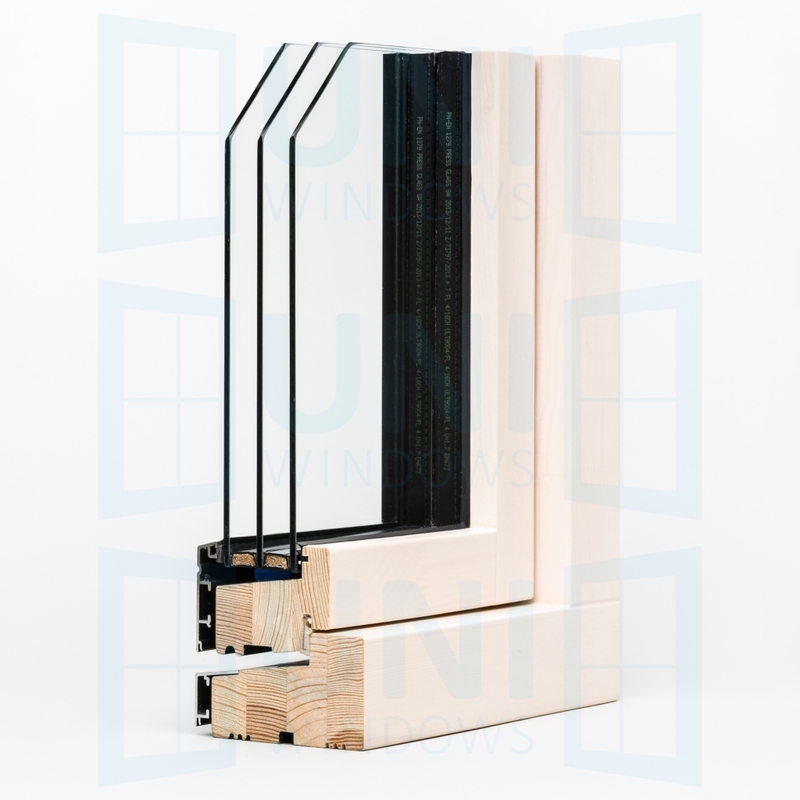 Uni Windows Ltd. offers a 10-year warranty on labour and materials used.